Moisturizing Preshave Oil with sandalwood essential oil. It’s perfect for my skin. My skin always got dried and itchy after shaving but thanks to pre-shave oil by henna guys I’ve solved my all shaving problems! My skin is replenished with the nutrients and its itchiness have gone forever. 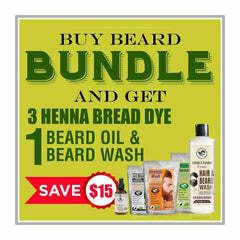 I always prefer to buy Henna Guys products for my hair and beard. I used this pre-shave oil and found it an excellent choice for moisturizing my skin. It’s perfect for my skin. My skin always got dried and itchy after shaving but thanks to pre shave oil by henna guys I’ve solved my all shaving problems! My skin is replenished with the nutrients and its itchiness has gone forever. 5 Stars for this item. I have been buying Pure Henna from the henna guys. I ordered this pre-shaving for my brother and he likes it more than anything else. He is very happy with the results. Shipping and delivery were very fast too.